Myer Lipschitz was born in Johannesburg and is a graduate of the University of the Witwatersrand. In 1985 he was conferred the degree Bachelor of Laws. Myer completed his Articles of Clerkship with Ivor Trackman, Attorneys and was admitted as an Attorney to the Supreme Court of South Africa in 1988. 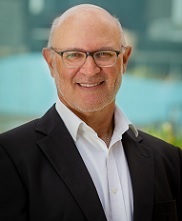 Myer immigrated to New Zealand in 1989 and was admitted to practice law in New Zealand as a Barrister and Solicitor of the High Court of New Zealand. Myer became involved in immigration law when employed by Hesketh Henry in 1992. He was employed by that firm to establish an immigration department. Myer left their employ in November 1992 to establish his own practice, known as Protea Immigration Consultants Limited. Myer is a past Director of the NZAMI and is a current full member of the New Zealand Immigration Institute. If you are interested in immigration to Australia, we encourage you to contact Myer directly.